I’m honored by the return of Bobbi Sheahan and Dr. DeOrnellas. In this post they have agreed to share insights into behavioral risks associated with Autism. By Bobbi Sheahan and Kathy DeOrnellas, Ph.D. Thanks you, Rich, for having us on your blog! We are back for part 2. Our first segment was an introduction to autism. In Part 2, we are going to discuss some dangerous behaviors that are often part and parcel of raising a child on the autism spectrum. Many of these are things I (Bobbi) would never have imagined before having an autistic child, and I have a pretty good imagination. We’ll start with one of the more alarming behaviors sometimes exhibited by children with autism: wandering or running. We expect toddlers to take a run, if you will, at running away from Mom or Dad. When a child has autism, that phase can go on for year after hair-raising year. “I never got a ton of questions, usually just the sideways looks. Right after diagnosis, I was happy to volunteer answers to the looks – “he has an autism disorder, he runs away”. Later, I just stopped caring what people thought. I don’t have the time or the patience any longer to explain to everyone that I’m not a horrible parent. I did get comments from my family (who do not understand his diagnosis & what it means for him, or care to educate themselves) like “a leash? !” or the ever popular & interchangeable, “Bring him to my house, I’ll straighten him out” & “you just need to spank him more” (typically said much more crudely by my mother-in-law as “beat his a**” – lovely). Stories like this make me less likely to judge. I certainly did judge myself a lot when my own child showed tendencies to flee. My daughter’s running phase lasted for four years. Four. Long. Years. I remember vividly the day that she stood transfixed, staring at an open gate, repeating the cautions I’d been saying to her for years. I admit it – I cried. For joy, for relief, and for finally being able to laugh about the time she escaped on a tricycle and took years off the end of my life. But wandering is no laughing matter. According to multiple press and online reports, one father in Canada experienced the nightmare of having his nine-year-old daughter wander from their fenced yard, only to be found some hours later in a neighbor’s yard; authorities subsequently took the girl from her father’s custody based on this incident, according to this source http://www.autismkey.com/child-with-autism-taken-by-authorities-ayn-van-dyk/ and scores of others like it online. What Can We Do About Running? It took our family several years to instill the “do not run away” message, and it will take some folks even longer. What can parents do in the meantime? Besides the aforementioned locks and other physical protections, some families employ personal GPS monitors or autism service dogs who are trained to stay with the children and whose leashes are also snugly attached to the child’s wrists. The question of why our kids wander is a tough one and beyond the scope of this article, but some folks say that the service dogs may also alleviate some of the anxiety that leads to wandering. Police departments in the U.S. also have free biometric registries where you can provide your child’s fingerprints, pictures, and some basic information. Many of us also have medical alert bracelets for our kids. Special Education classrooms often have an aide dedicated to watching the doors, and I spoke with one mom who rejected an otherwise good school solely on the grounds that the front door opened up onto a busy parking lot and an even busier street. The National Autism Association has a wonderful twelve-point list of action items to address safety concerns. The list, which can be found in its entirety here, http://www.autismsafety.org/prevention.php?way=12 , includes several of the items mentioned here, plus some others such as designating an Adult In Charge at gatherings so that it’s clear that someone is watching our kids. “Josh has an obsession with using a tack (push pin, whatever you want to call it) to dig in the wall. He has many dime-sized holes around his room. In this incident, I came in to check on him, and he was digging at the wall next to the night light with a tack to “let more light into your room, Mommy.” At that point, he had only taken off the white paint and you could see the brown covering of the sheet rock (or whatever it is). “GLASS! What glass?” trying not to jump out of my skin. These stories highlight the importance of safeguarding our children. While these stories may be amusing to someone who did not experience them, our children are in significant danger and have a much higher risk of engaging in dangerous behaviors that result in an injury. They are more likely to suffer head injuries and to poison themselves accidentally; they are also more likely to end up in hospital emergency rooms. This is true for several reasons. Many children on the spectrum do not experience pain the way the rest of us do and, rather than learning that the stove is hot on the first trial, they touch the stove again and again. They also do not understand that certain situations are dangerous. For example, our children may not understand that running out into traffic can result in injury or death; rather, they are focused on escaping an uncomfortable situation. While all children are impulsive at times, children on the spectrum are especially so and do not think through the consequences of their behaviors. As a result, they can end up in some precarious situations. Although keeping our children safe can be very difficult, it is critical. I suggest that in any situation you have a “designated watcher” for your child – someone who is responsible for seeing that he or she remains safe. This is especially important in crowds, unfamiliar settings, or anywhere your child feels uncomfortable. 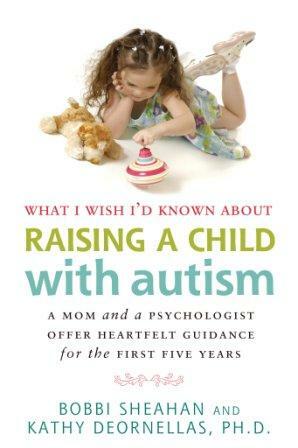 Bobbi Sheahan and Kathy DeOrnellas, Ph.D. are the authors of What I Wish I’d Known About Raising a Child With Autism; A Mom and a Therapist Offer Heartfelt Guidance for the First Five Years (Future Horizons, 2011). Portions of this article are excerpted and adapted from the book, which is available at www.fhautism.com and wherever books are sold. Readers of this blog can use the promotional code BOBBI for 15% off of What I Wish I’d Known About Raising a Child With Autism and any other Future Horizons product or conference, plus free shipping. Bobbi’s website is www.bobbisheahan.com, and she would love to hear from you at me@bobbisheahan.com. 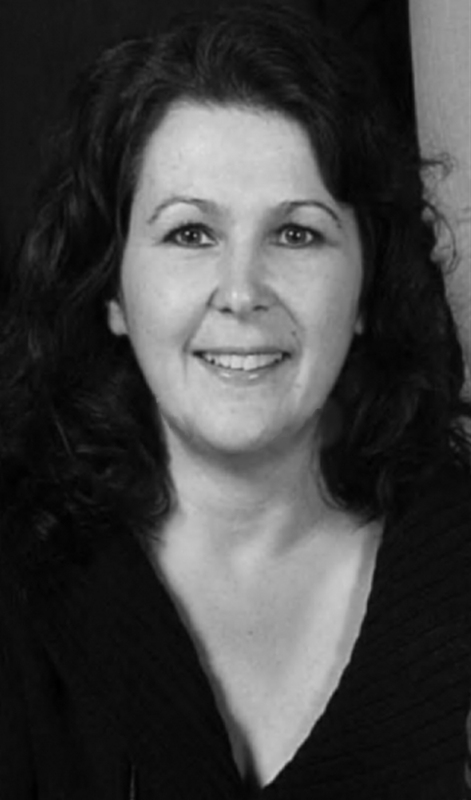 You can also connect with her on Twitter at @BobbiSheahan or on Facebook. I want to take this opportunity to welcome Bobbi Sheahan and Kathy DeOrnellas, Ph.D. to present a carefully prepared introduction on autism for the rest of us. This should come as a welcomed post to my followers, many of whom take an active interest in Autism Spectrum Disorder and Asperger. This is a cause I have taken an active interest in for several months. I consider this to be a special presentation. Thank you for sharing Bobbie and Dr. DeOrnellas! Thank you so much, Rich Weatherly, for asking us to guest post on your blog! 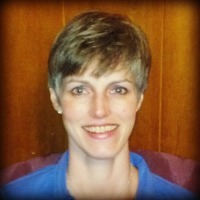 My name is Bobbi Sheahan, and I appreciate the opportunity to talk to your readers about autism. Ten years ago, when I got married, I knew next to nothing about autism. Sure, I’d seen Rainman, but I’d never met someone with autism. Well, that’s not exactly true, but I didn’t know it at the time. You see, ten years ago, as I mentioned, I was getting married to my dear husband who is, as it turns out, on the autism spectrum. His Asperger traits are a huge part of what makes him a wonderful husband and a successful engineer, but I’m getting ahead of myself. My husband wasn’t the one who introduced my family to autism. Two other people did that: our daughter, who is also on the spectrum, and Dr. Kathy DeOrnellas. Since I can’t bring each of you to her to hear Dr. DeOrnellas speak – and I would if I could — I’m bringing her to you. I’ll let her have the floor for a while now, so that she can explain to you some basic definitions about autism. Autism spectrum disorders (ASDs), or Pervasive Developmental Disorders, are the fastest growing class of developmental disabilities in the United States and currently affect over 1.5 million Americans (Autism Society of America [ASA], 2009). In 2007, the Centers for Disease Control and Prevention determined that the prevalence of autism is currently 1 in every 94 for boys and 1 in 150 for all American children (ASA). More recent studies have placed the numbers as high as 1 in 91 children overall, and 1 in 58 boys. This phenomenon has been widely discussed on television and in the press (Cowley, 2003). Despite the vast amount of research being conducted each year, there are many different theories and a lot of disagreement on this topic, and it seems that each week brings news of breakthroughs in our understanding. I do believe that there will be clear and widespread understanding of what causes autism in the foreseeable future. Causation of autism isn’t what we’re here to explain today, though. Today, we’re here to explain a bit about what autism is – and what it isn’t. It’s important that we understand more about autism because it impacts all of us. Almost everyone knows someone with autism, and it has an enormous impact on families, school systems, and communities. Whether you’re trying to understand your nephew or a child in your daughter’s class or you’re a businessperson trying to understand how to accommodate people with autism, autism touches your life – or it will soon. The economic impact of autism – which I use because it demonstrates how impactful autism is to families and communities, and money is easy to quantify — is now just beginning to be well-understood as well. The Autism Society of America estimates that it costs 3.5 to 5 million dollars to care for a child with autism over his lifetime; the United States spends almost $90 billion each year for autism. This figure includes research, health care, education, housing, transportation, etc. It has been 70 years since Kanner first wrote about children with autism and Asperger wrote about children with a higher functioning form of autism. In that time, we have learned a great deal; however, we still have far to go. Much attention is currently being given to “Aspies” in popular culture. There are several current television shows with characters who are supposed to represent various autistic traits – with varying degrees of accuracy and dignity. ASDs, also known as Pervasive Developmental Disorders, are diagnosed by comparing a child’s behavior (or the behavior of an individual at any age) to a set of symptoms that have been established as the diagnostic criteria. Autism Spectrum Disorders (ASDs) fall under the umbrella known as Pervasive Developmental Disorders. Several types of ASDs have been identified, and it is most helpful to think of them as falling on a continuum. In the United States, the Diagnostic and Statistical Manual of Mental Disorders-Fourth Edition-Text Revision (DSM-IV-TR; American Psychiatric Association, 2000) is the most widely used set of symptoms. The DSM-IV-TR is a sort of encyclopedia of mental health disorders. Psychiatrists write the DSM-IV-TR and use a medical model for interpreting behavioral symptoms of mental health problems. It is important to know that this is the fourth edition of the Diagnostic and Statistical Manual of Mental Disorders and the diagnosis of autism has been handled differently in each edition. As we learn more about a disorder, changes are made in the diagnostic criteria. The new diagnosis book, the DSM-V, is scheduled to be released in 2013, and it may bring substantial changes that will probably result in a narrowing of the diagnostic criteria and the number of people receiving a diagnosis of autism under the DSM-V. Outside the U.S., the ICD-10, the tenth edition of the International Classification of Diseases, which is published by the World Health Organization, is used. Since autism is diagnosed in individuals all over the world, it is important to recognize that the DSM-IV-TR is not the only tool used for diagnosing individuals. Autism is at one end of the continuum and is the most severe type of ASD. Children with autism have unusual behaviors that are repetitive and stereotypical, as well as very restricted interests and activities. They have severely disordered verbal and nonverbal language and as many as half never develop any type of language. Autism is also characterized by impairments in social interaction that include poor eye-to-eye gaze, lack of social or emotional turn-taking, and a failure to develop relationships with peers. Most children with autism also have delayed intellectual abilities (DSM-IV-TR, 2000). On the other end of the autism spectrum or continuum, children with Asperger’s Disorder generally have age-appropriate expressive and receptive language skills and average intelligence or above. They have difficulty using and understanding nonverbal behaviors, however, and their pragmatic language skills are typically impaired. As a result, social interactions are quite difficult. Children with Asperger’s Disorder typically have an overwhelming preoccupation with one or more topics (i.e., dinosaurs, skyscrapers, Egyptology, etc.) and are inflexibly bound by routine. They may have stereotyped mannerisms and/or a persistent preoccupation with parts of objects. This form of ASD also appears more frequently in males (DSM-IV-TR, 2000). Other forms of autism include Rett’s Disorder, Childhood Disintegrative Disorder, and Pervasive Developmental Disorder Not Otherwise Specified. The diagnosis Pervasive Developmental Disorder Not Otherwise Specified (PDD NOS) is given to those children who have some symptoms of an ASD, but not enough for a full diagnosis. The diagnosis of PDD NOS, also known as atypical autism, is used when children have unusual symptoms or when their symptoms become apparent at a later age than is typical (DSM-IV-TR, 2000). If you’re picturing a spectrum, PDD NOS is in the middle. Much of the literature and discussion about autism deals with children with autism. It is good that people are starting to pay more attention to adults on the autism spectrum too. Although many people do change over time or improve in some ways – sometimes substantially – autism isn’t something that you outgrow. Adolescents and adults have ASD and it affects their lives just as much as it can for children. As you can see, Dr. DeOrnellas has helped me to understand quite a bit about autism. This is the first of a two-part series. In our next article, we will talk about safety concerns and introduce you to some of the more dangerous behaviors associated with autism. disorders (4th ed., text rev.). Washington, DC: Author. Cowley, G. (2003, September 8). Girls, boys, and autism. Newsweek, 42-50. Bobbi Sheahan and Kathy DeOrnellas, Ph.D. are the authors of What I Wish I’d Known About Raising a Child With Autism; A Mom and a Therapist Offer Heartfelt Guidance for the First Five Years (Future Horizons, 2011). Portions of this article are excerpted and adapted from Chapters 1 and 2 of the book, which is available at www.fhautism.com and wherever books are sold. Readers of this blog can use the promotional code BOBBI for 15% off of of What I Wish I’d Known About Raising a Child With Autism and any other Future Horizons product or conference, plus free shipping. Bobbi’s website is www.bobbisheahan.com, and she would love to hear from you at me@bobbisheahan.com. You can also connect with her on Twitter at @BobbiSheahan or on Facebook. 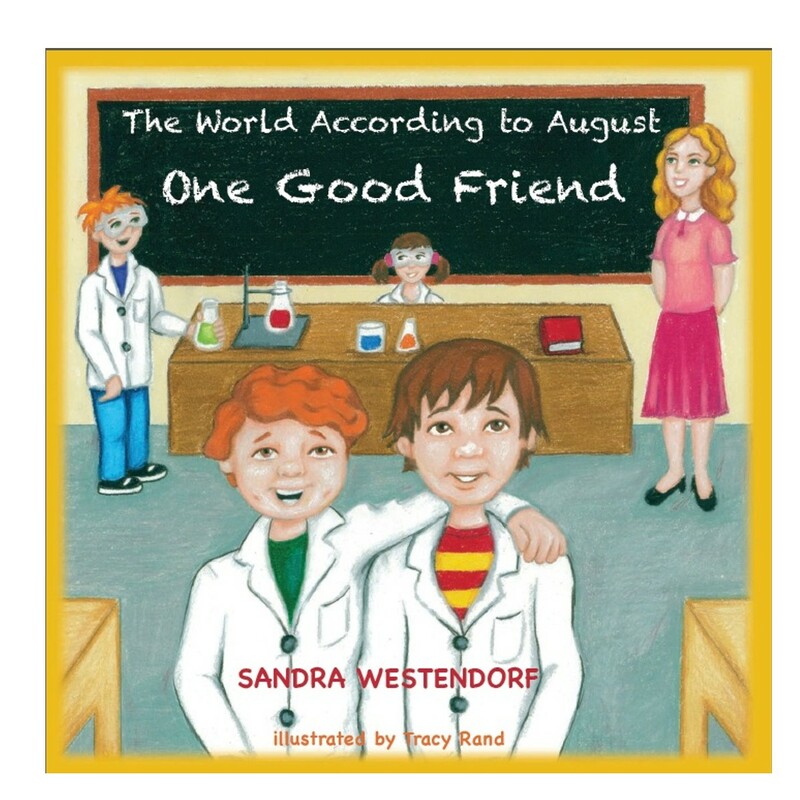 author of The World According to August – One Good Friend. Sandy’s book inspired me to write Poem for an autistic child and has agreed to answer questions related to comments from the introduction of her book. Your book, “The World According to August” touched me deeply. You give us a deeply personal, yet insightful picture of a child with autism; how he and they are similar in many ways and yet different, as well. Each numbered item is a quote from your book. Next is my question in italics. Would you care to comment on these statements from the introduction of your book? Every child is unique; the extent to which they are affected is also individual. If you are not living with autism, it is easy to miss the child and only see the diagnosis. The book was written in an attempt to demonstrate, although outwardly, these children may appear different; but inside—where it counts—they are the same as you or me. Children with autism love, have an ego, feelings which can be hurt, a sense of humour, and even a mischievous side.What would you like to add to these observations? It does not matter whether you are part of the mainstream or not. We all seek attachments. Attachment is vital to our health. Humankind tends to observe the obvious first, I’m no different. What is obvious about autism? Behaviors – mostly. What is missed? The person, the one who is seeking attachments, trying to find a way to belong and fit into our society. Autism is not contagious; your children will not catch it from a play-date with a child who has special needs. In fact, mainstream children who engage others with disabilities exhibit more tolerance, confidence and appear to have deeper connections with their peers as a result. I observed the mainstream public had many misconceptions about children with autism. I wanted the world to know – they have the same feelings, dreams and disappointments as us all. Like most of us, people with autism also appreciate a good joke. 2. What you will find in these pages is a humorous and occasionally touching account of how a child with autism views the world. On a lighter note, please comment on the emotional side of working with and parenting an autistic child. This is by no means a portrayal of how all autistic children experience the world, as every child is unique. Would it be fair to suggest that one of your goals is to encourage those who have misconceptions about autistic children to reconsider their positions and to look for meaning in the lives of these valued members of society? Yes, absolutely. Try not to place a ‘cookie cutter’ label on them. In the interest of simplicity, many individuals with autism are labeled ‘low, medium or high functioning’. Most people then have a general sense of the individual’s abilities. What the general populous might not realize is, there are splinter skills within these categories. You may have someone who is considered ‘high-functioning’ but cannot read or they struggle with math. My son for example, is considered ‘low-functioning’ because his language deficits are pronounced. However, this is a child who did not speak until he was four years old, but he taught himself to read at the age of three! We had him tested – no one believed us. He is also a little math whiz, but struggles with social interactions. He generalizes faster than most. This means once he has grasped the foundation of a new concept, he can generalize it across anything and he is off and running with it. These are a few of his splinter skills, areas where he is above the curve. I guess what I am trying to say, in a round-about way is- you don’t know what someone is capable of, or what you can learn from them until you give them a chance. You may be surprised. I want to thank you for giving me the opportunity to stand on my soap-box and spread the message about people with disabilities. Many do not have a voice of their own. It is up to those of us, who love and care for them, to give them that voice. Parents should know it is okay to advocate for your child, special needs or mainstream. Encourage connections with people with different abilities – it will make all the difference – to you and to them. Eight months after I had finished writing the story and it was in the hands of my book designer, I came across the following link: http://www.wretchesandjabberers.org/screening2.php I was delighted to see other like-minded people. The short clips on the link show two men with autism trying to dispel many of the misconceptions of developmental disabilities. Their message was exactly what mine is – inside we are all the same.